For the base I applied three coats of Essie Resort Fling. You can get away with two coats, but it wasn't completely opaque. So three coats will do. 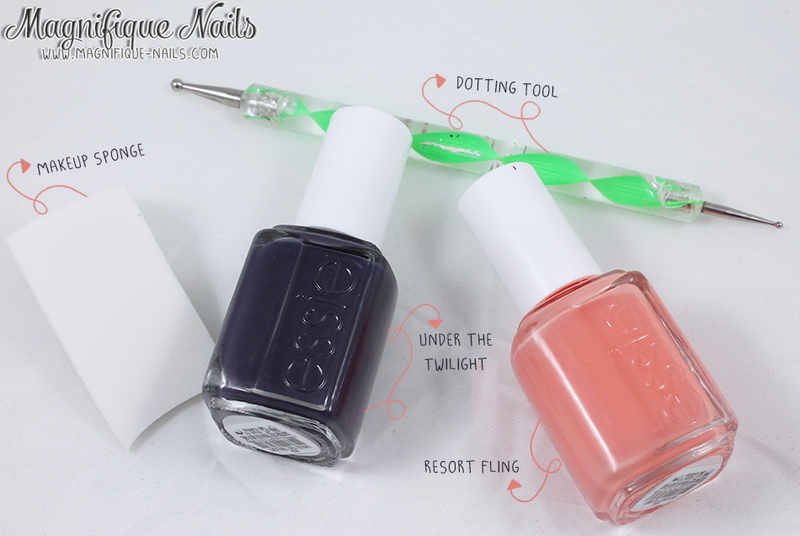 Once that dries, on makeup sponge I layered Essie Resort Fling and Essie Under the Twilight. Once Essie Under the Twilight was no longer visible. Using a dotting tool I added the first dot below the cuticle. Then added more dots on the sides, above Essie Resort Fling. I then added Essie Resort Fling dots above Essie Under the Twilight; to create a gradient do look. 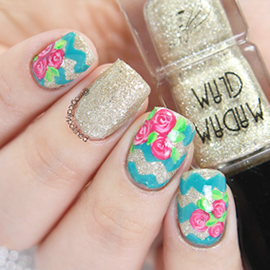 Lastly, I then sealed the designs with Duri- Super Fast Dry Through Top Coat, that's it! Overall I really loved how these turned out, mostly the colors!